Çayeli Bakır, one of Turkey’s exemplary mining companies, has achieved an award for its efforts in communicating with employees and industrial relations applications in the Best Application of Company Level Social Dialogue Competition organized by the Ministry of Family, Employment and Social Services (MFESS) and the International Labor Organization (ILO). Çayeli Bakır won second place in the Best Application of Company Level Social Dialogue Competition for various internal communication activities implemented for the first time in the mining sector and for the company’s communication efforts with the organized union at the workplace. The competition was organized in the scope of the “Development of Social Dialogue Project” being carried out by the Ministry of Family, Employment and Social Services (MFESS) and the International Labor Organization (ILO). Projects were evaluated by a jury comprised of senior representatives of the Ministry of Family, Employment and Social Services and worker and employer organizations, senior level representatives of nongovernmental organizations, independent academicians and other experts. 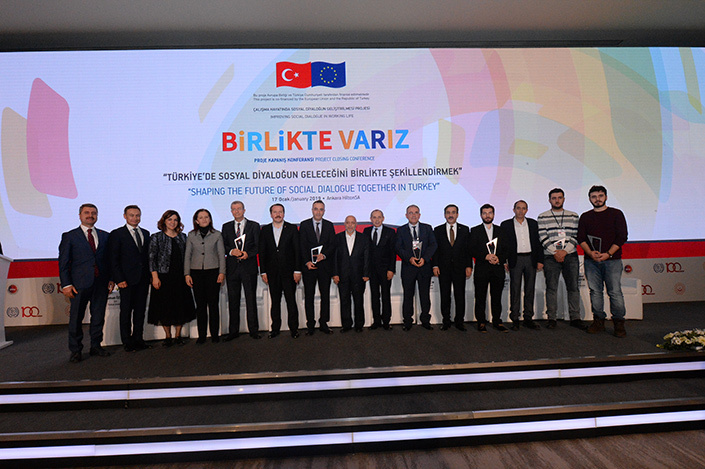 The award ceremony for the Best Application of Company Level Social Dialogue Competition took place in Ankara with the attendance of the Minister of Family, Employment and Social Services, Zehra Zümrüt Selçuk. 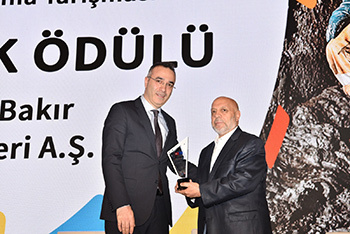 The second place award was presented to Çayeli Bakır General Manager Murat Güreşçi by Hak-İŞ President Mahmut Arslan. Çayeli Bakır, which operates with the approach that “Our real ore are our employees” and organizes exceptional training, activities and beneficial projects for its employees based on this concept, has achieved a number of different applications in the mining sector with special work on internal communications like taking the spouses of mine workers on tours of the underground facilities and the photograph exhibit called “Journal of a Miner” comprised of photographs featuring the mine workers.